It has been a horrible Monday! Actually, today started out just fine. I got the kids back to school after their spring break. I had a great workout, ran a bunch of errands, and got all caught up on my emails. Then, I found a wet spot in my hallway carpet. Then, the wet spot began to grow. Then, I opened the closet door next to the hallway and found a wet mess puddling under the hot water heater. I immediately called our landlords and they hit the road running to get someone here to fix it. The good news is that I am sitting on the couch this evening with my feet up, trying to relax from an exhausting day. My house is a mess from all those closet items I had to remove, BUT the hot water heater has been replaced and I have someone coming by in the morning to clean up the carpet mess. Tonight, I am so thankful for amazing landlords that responded so quickly! In other news, I am still reading Allegiant by Veronica Roth. I really do expect to finish it tonight or tomorrow. I am really curious to chat with others about this one once I do finish. As promised in previous weeks, the books that will be up next are Chew, Volume 1 by John Layman and Enchanted Glass by Diana Wynne Jones. And, for the most exciting news for the week ... It's Bloggiesta time!! On Wednesday, I will be hosting a challenge for the event, then on Thursday through Sunday, I will be working on my HUGE long list of tasks! I have been compiling this list since the end of the last Bloggiesta and with Armchair BEA coming up, it has gotten a little out of hand. I am really looking forward to crossing off so many of these items this week. 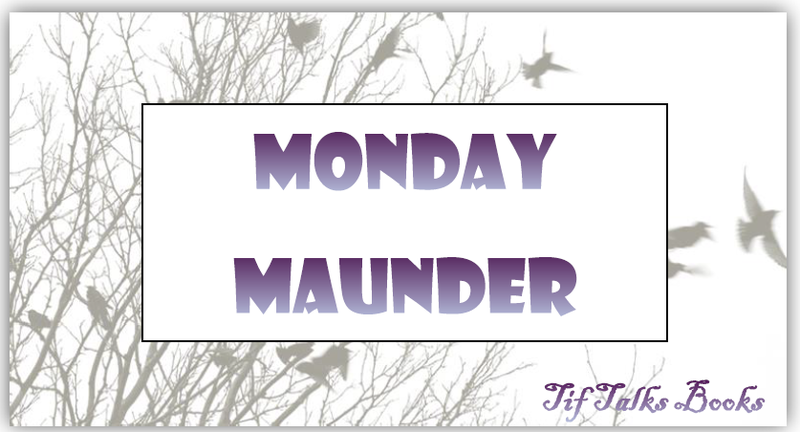 THE PRE-HUGE LIST: What I hope to get done BEFORE Bloggiesta begins on Thursday. My goodness that list is HUGE!! Wish me luck!! I think I'm going to need it this time, especially with a weekend full of last minute Girl Scout cookie booths too!! What are you reading these days? 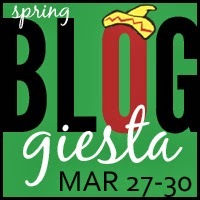 Are you participating in Bloggiesta this weekend? What is on your to-do list? Damn, that is a big list! Good luck, good luck! You weren't kidding about a huge list! So great that you have good landlords and you don't have to deal with that on top of Bloggiesta and A-BEA! I need to make my goal list, too. Becca Lostinbooks ... Nope, I was not kidding! I think it grew exponentially last week!! Can't wait to see your goal list. I'm glad your landlords were able to spring into action. I'm blessed with wonderful landlords myself. Awesome! Andi ... Makes a big difference, doesn't it?!? You are making my head spin! Good luck! Wow! That's an ambitious list! I'm feeling too guilty about undone projects to devote the time to Bloggiesta this weekend, but I may talk myself into it by tomorrow! Yay for good landlords! But, dang girl, that list of yours makes me want to go take a nap. LOL. Alexia561 ... As we get closer to the start of Bloggiesta, I'm thinking I was a bit over-ambitious!! Good luck on your list! Happy Bloggiesta!! That is a huge list! Good luck! I hope you get everything done! Vasilly ... Thank you! I'm hoping for a very productive weekend! That is a heavy list! I wish you lots of luck! Steph Gorelenore ... Thank you! So far, I've been able to tackle lots of it, but I'm thankful I have one more day! !